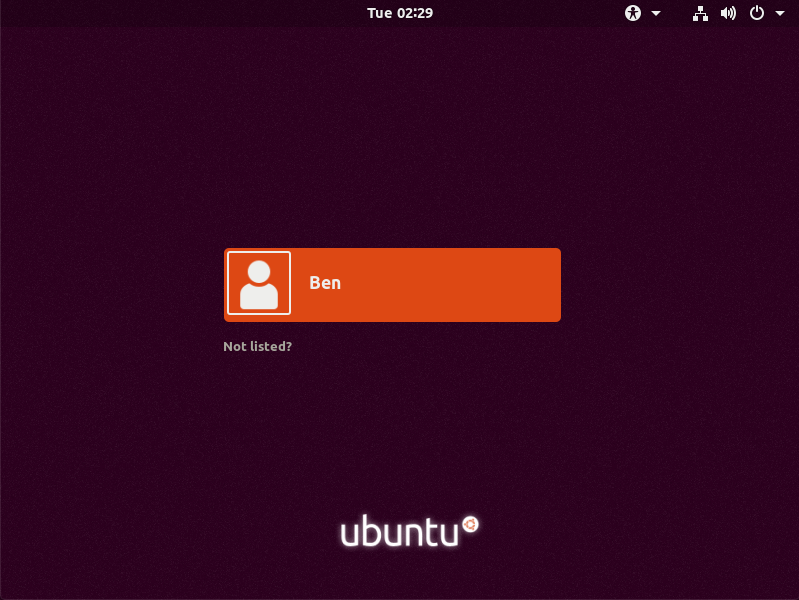 Ubuntu 預設是不能使用 root 來登入,只能用一般使用來登入,然後透過 #sudo su – 切換身份 或是 gksudo(Graphically sudo) http://benjr.tw/1273 等方式來執行一些特權指令. Ubuntu Desktop 預設為 GUI 模式,可以透過 systemctl 來改成文字模式(Text Mode). Created symlink from /etc/systemd/system/default.target to /lib/systemd/system/multi-user.target. 剛剛我們已經有設定過 root 的密碼了,其實這樣就可以在文字模式用 root 的身份來登入. 把原先的 ExecStart=-/sbin/agetty -o ‘-p — \\u’ –noclear %I $TERM 修改成為 ExecStart=-/sbin/agetty –autologin root –noclear %I $TERM 即可. 剛剛改成文字模式了,要透過 systemctl 來設定回圖形模式 (Graphic Mode). Created symlink from /etc/systemd/system/default.target to /lib/systemd/system/graphical.target. 還有 PAM – Pluggable Authentication Modules 的設定 (桌面系統使用的是 GDM – GNOME Display Manager),需移除 (#) 在 /etc/pam.d/gdm-autologin 與 /etc/pam.d/gdm-password , auth required pam_succeed_if.so user != root quiet_success 這一項設定. 重開機後在 Not listed 選項輸入 root 帳號以及密碼即可登入. mesg – display (or do not display) messages from other users, y 允許使用者將訊息顯示在螢幕上, N 則不允許. cmd1 && cmd2 若 cmd1 執行正確且無錯誤 ($?=0),則執行 cmd2 ,反之若 cmd1 執行完畢且為錯誤 ($?≠0),則 cmd2 不執行. cmd1 || cmd2 若 cmd1 執行正確且無錯誤 ($?=0),則 cmd2 不執行 ,反之若 cmd1 執行完畢且為錯誤 ($?≠0),則開始執行 cmd2. tty -s 成功後 ($?=0) 執行 mesg n ,因為 $?=0 所以後半段 || true 就不會去執行了. tty -s 失敗後 ($?≠0) ,不執行 mesg n ,因為 $?≠0 所以後半段 || 就會去執行 true 了. 當有 tty 時會去執行 mesg n ,沒有就不執行(不懂為什麼要這樣設定). 雖然前面已經幫 root 設定密碼了,但是 SSH 預設不讓 root 登入. 這樣就 SSH 可以就可以透過 root 登入了. Search this line and mark it to no work.